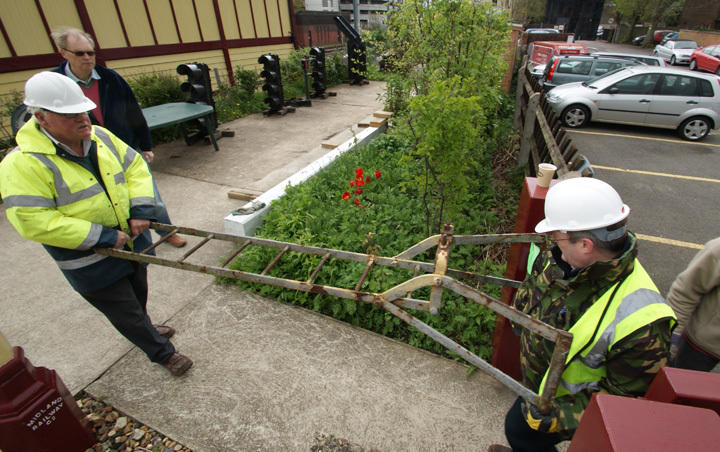 Much has been going on "behind the scenes"
A new Midland Railway signal and base for it as a major new demonstration. And when the rain has allowed, work on repainting the box - seems incredible that it's now over four years since the box was restored! 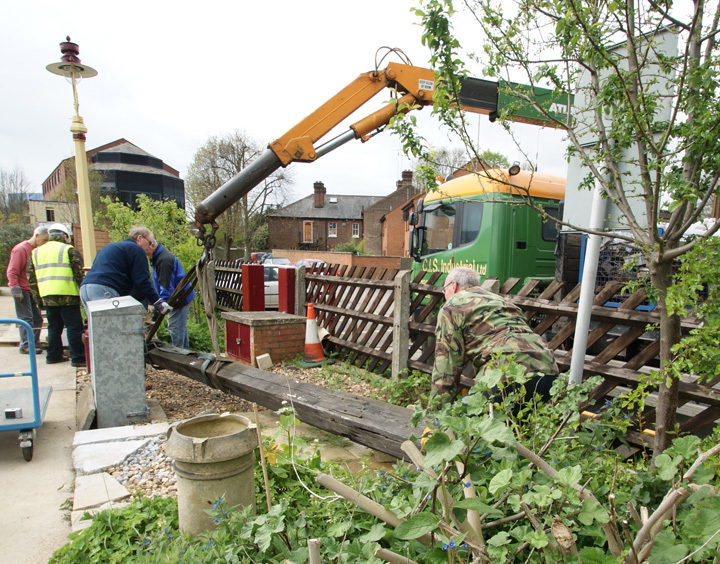 Photos will follow when the works are complete. Endpaper Theatre, a locally-based theatre company dedicated to creating exciting new adaptations of literature, performed their innovative promenade production of "Grave Expectations" by Martin Malcolm in June 2012 at the unique St Albans South Signal Box. This new play was inspired by Charles Dickens' ghost stories, and focusing mainly on "The Signalman", one of English literature's most chilling and affecting short stories. Dominique Gerrard and Tawny Cortes, the company's founders, were simply delighted to bring their production to the Signal Box, as it provided the perfect setting for this atmospheric piece of theatre. 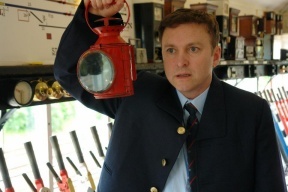 Having the character of the haunted Signalman himself, telling his unsettling story inside the historic Signal Box just thrilled audiences and bought the story to life. Endpaper Theatre hope to bring more theatre to this wonderful venue. More information can be found about the company on their website www.endpapertheatre.co.uk. 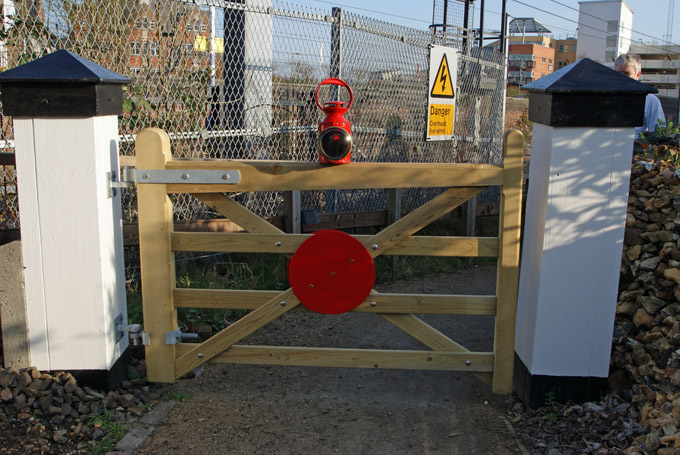 The Expanded Signalling Demonstration goes live! 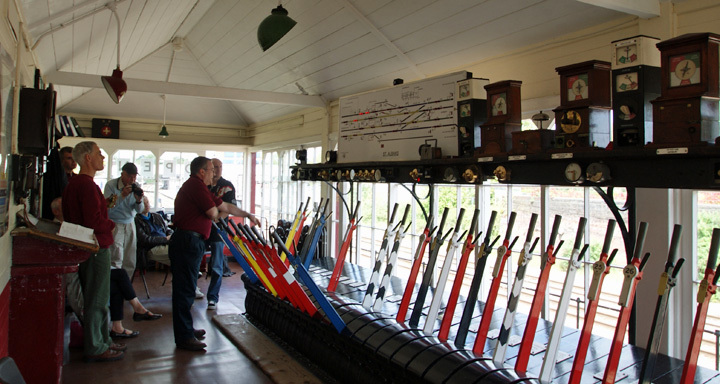 Two of our signalmen were trained on the new demonstration just in time for the 80+ members of the public who came on Sunday 13th, and for the SRS visit the previous day - see picture below. 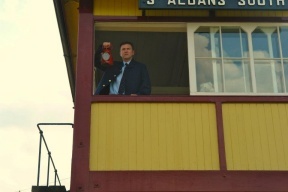 Here signalman Mr Crisp is about to give Harpenden "Train Entering Section" for the Down Fast line where an express train is passing through - notice the track circuit lights on the lowest of the four tracks. A train on the Down Slow (second from top) is stopped in the station. 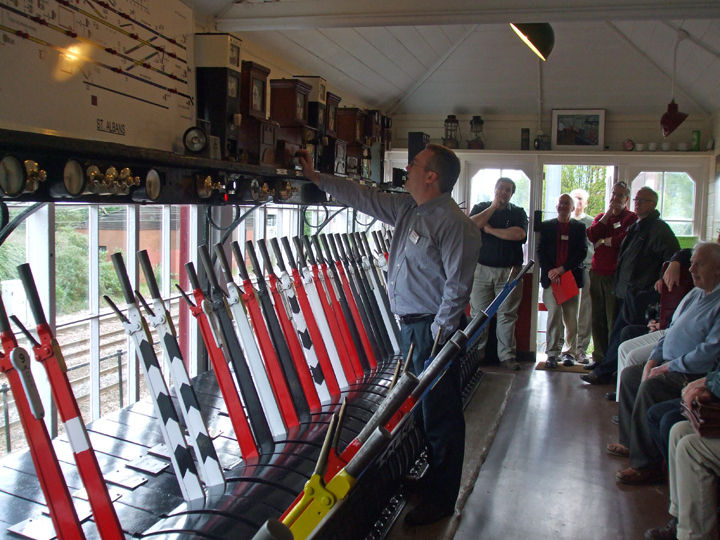 Trains have been accepted on the two up lines, hence the row of levers reversed to clear the signals for them. 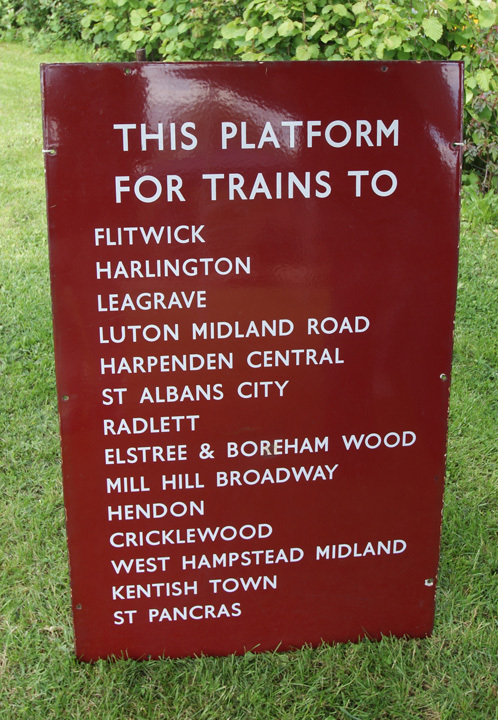 The block instruments on the far right show that a train is 'On Line' on the Up Fast from Harpenden although not yet visible on the track diagram and that Napsbury has given 'Line Clear' for it to be sent on to them. On the Up Slow a goods train is just about to enter the station as the Down Slow train is leaving. 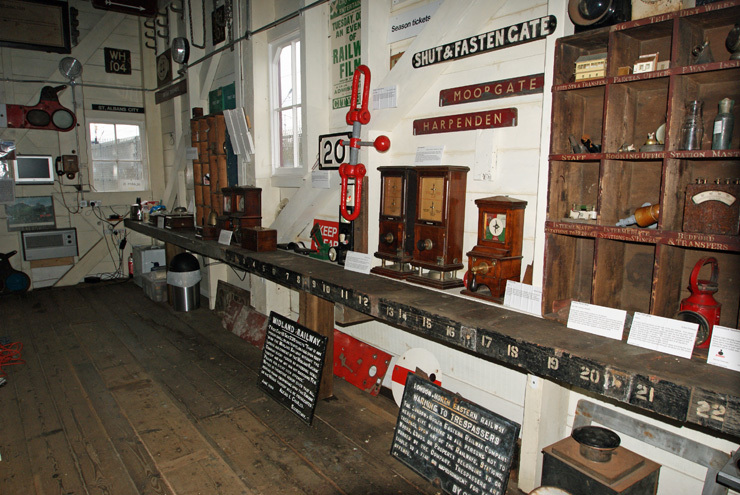 The lengthy goods train on the Up Slow is almost through the station (notice the number of track circuit lamps lit!) 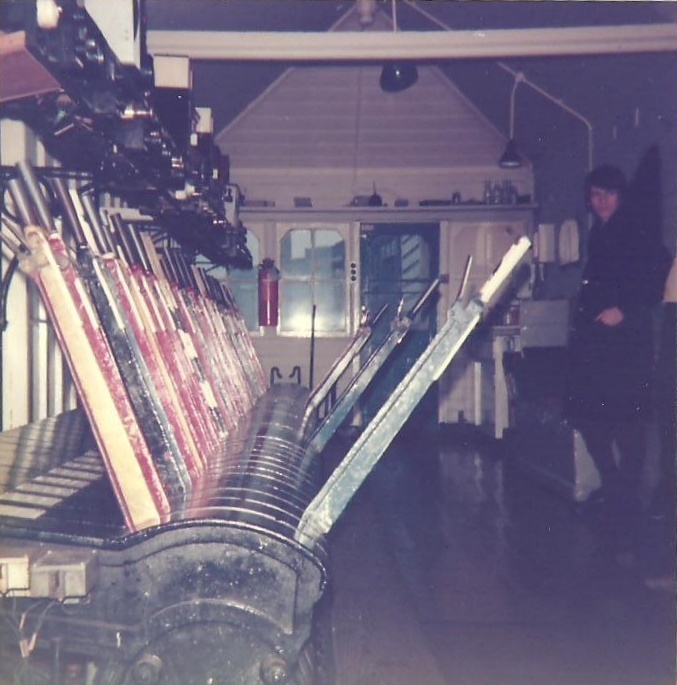 and our signalman is poised to send it 'On Line' to Napsbury as soon as he's checked that the tail lamp is on the end of the train. 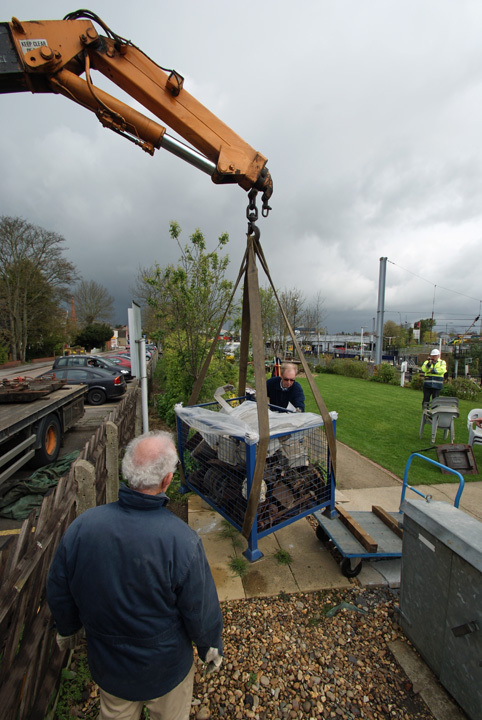 The train on the Up Fast is just arriving at the station. 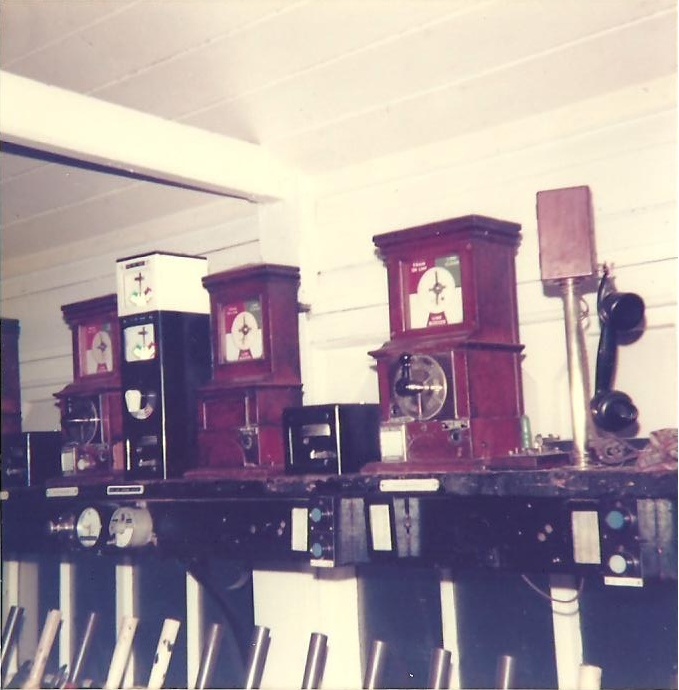 A general view of the display. 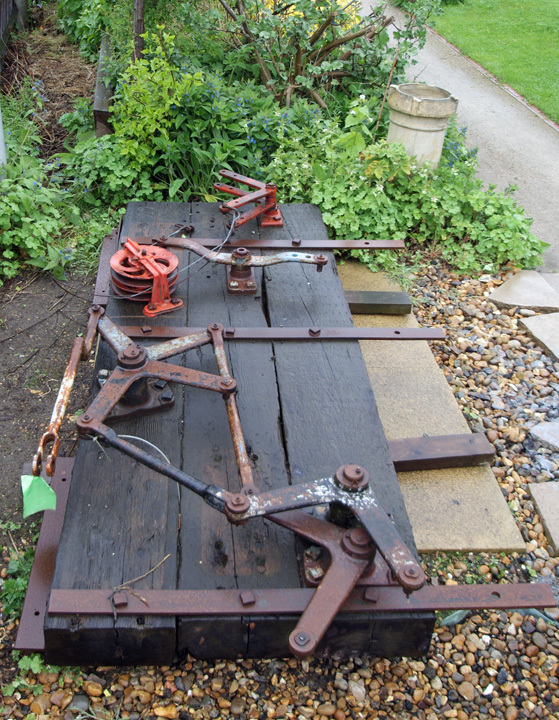 Loco number and shed plates, single line staffs from the Abbey Line. 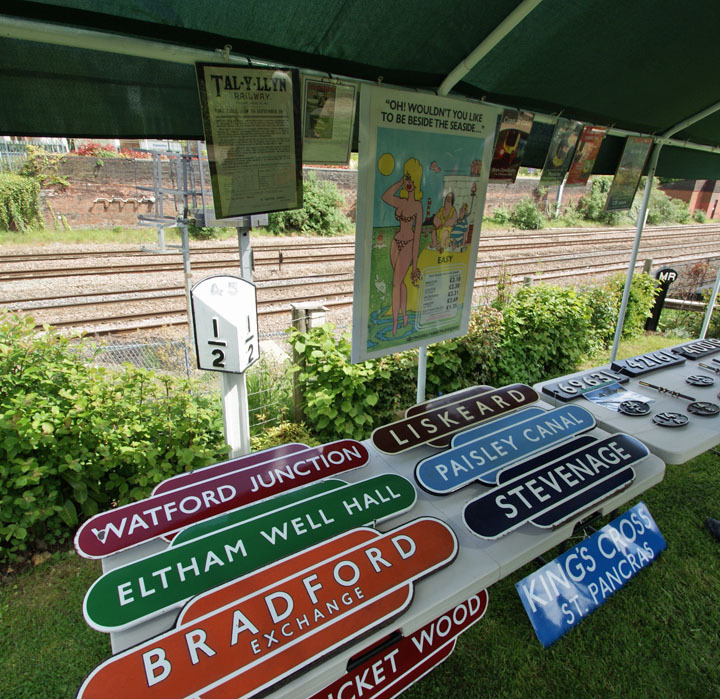 Station Tokens from around the country. 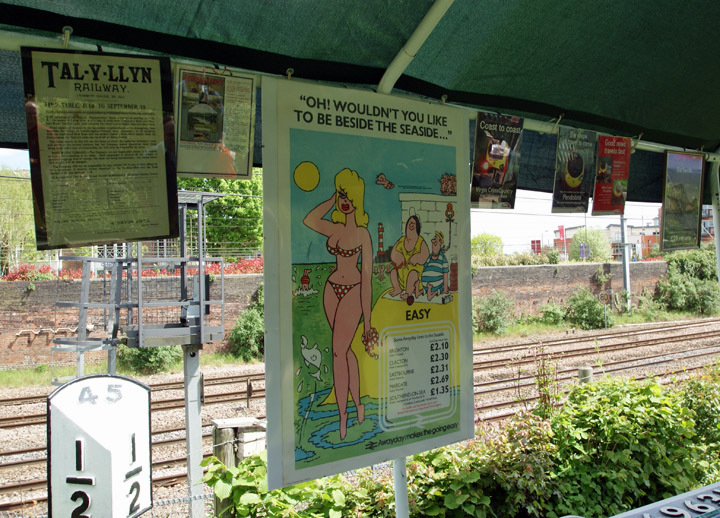 Railway posters. 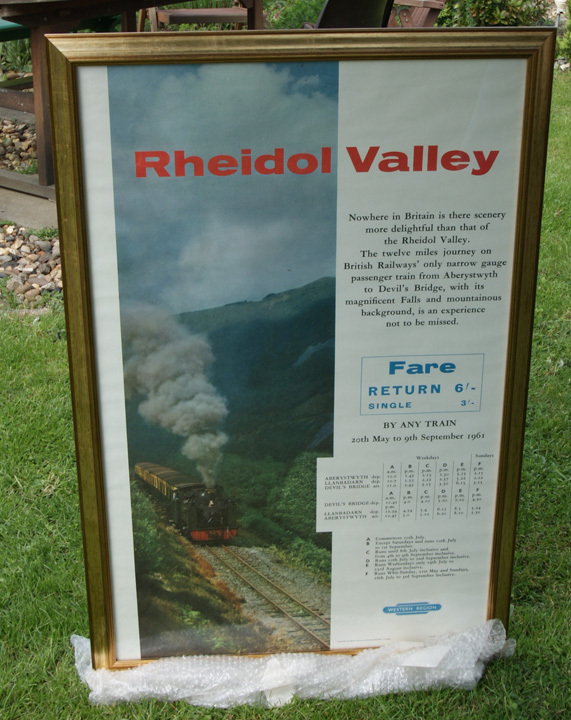 Vale of Rheidol Poster from 1961 Stations from Bedford sign. 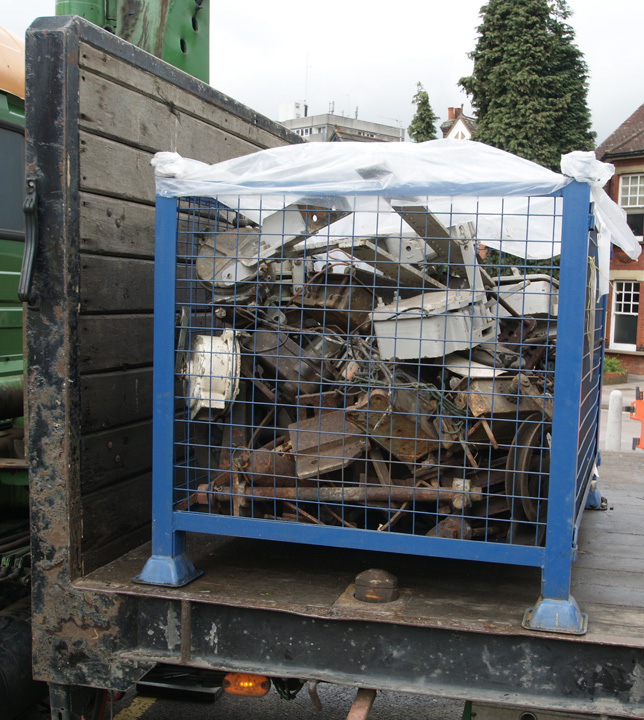 Last year the NRM allowed us to select a number of items surplus to the NRM's needs. 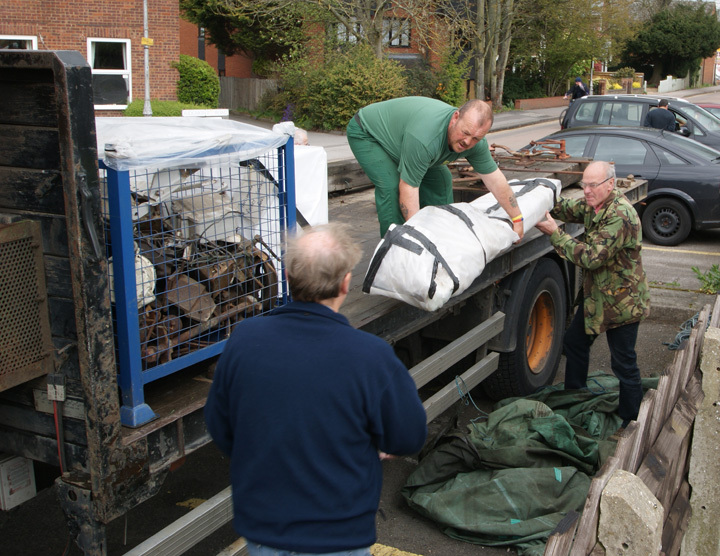 These were delivered on Friday 27th April when a large working party gathered in the morning to welcome the items in. 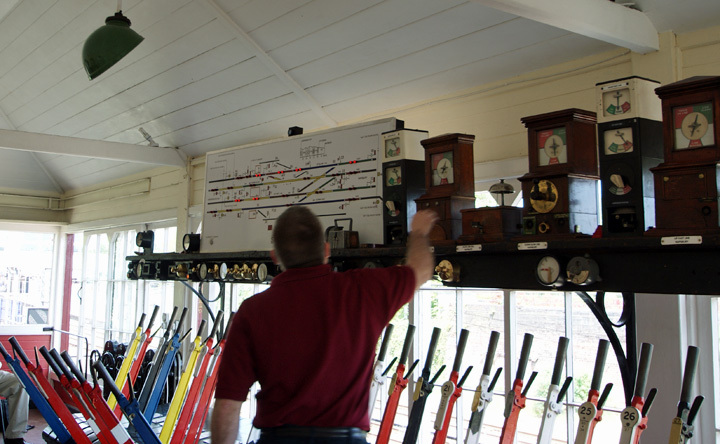 Work has finished on installing the new simulator which will allow us to run trains on all four lines to show how busy the box could be before it closed. now confirmed as Sunday May 13th, 10am to 5pm. HAPPY BIRTHDAY! 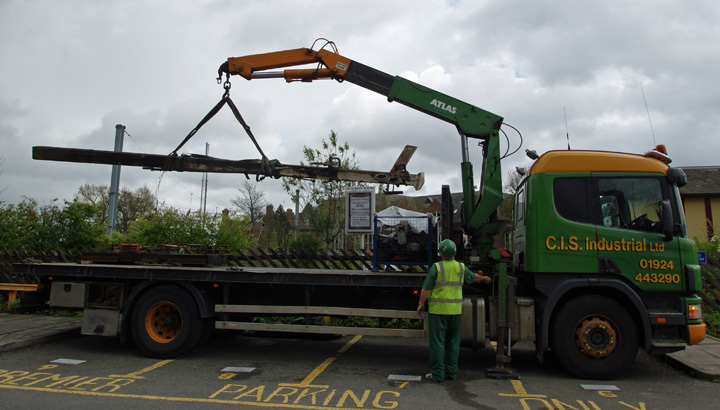 The 120th birthday of the box will be celebrated on Sunday June 10th 10am-5pm. Where did all the Chrome go? 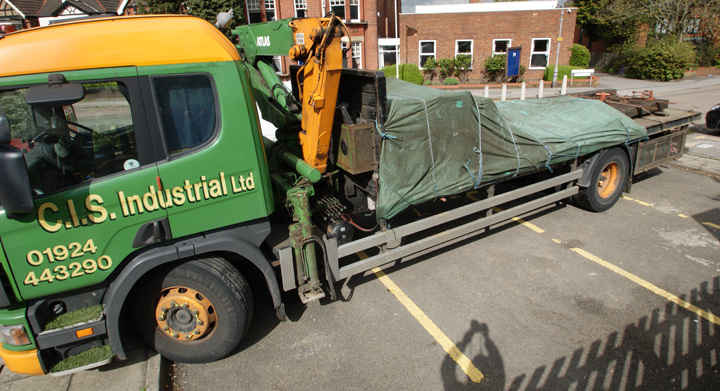 Hello John - got a new motor? Classic vehicles at the box - The Watford Classic Vehicles Club visited us on 18th March - tasty motors, chrome cleaner and elbow grease much in evidence. The tour was much enjoyed by the WCVC members. 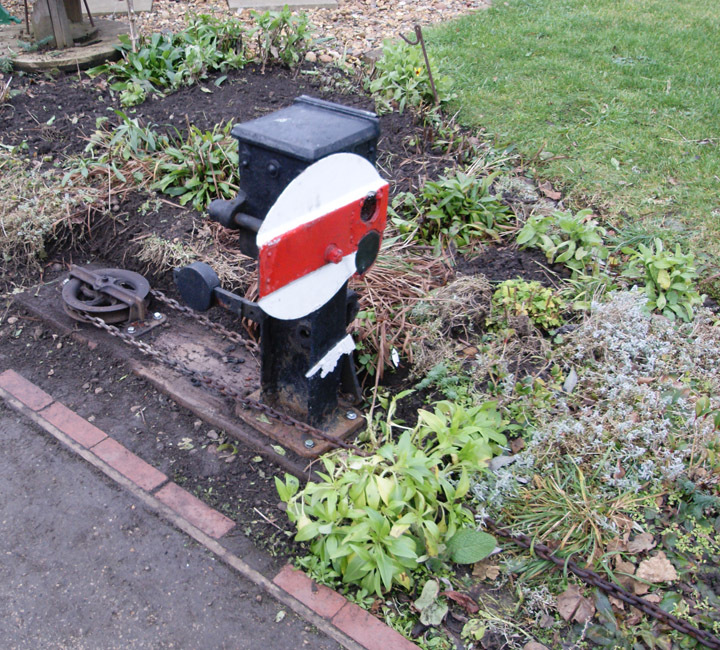 The latest addition to our garden displays - 'Level Crossing Gate', complete with red lamp. A Trustees' Meeting has confirmed that we shall hold a special Enthusiasts' Weekend with extended opening on the 12th and 13th of May. 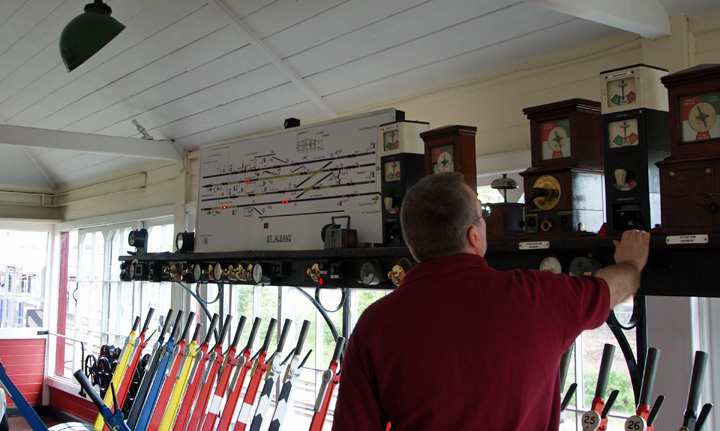 Besides a number of special displays, we will formally launch our extended signalling demonstration allowing us to show trains running on all four tracks simultaneously. 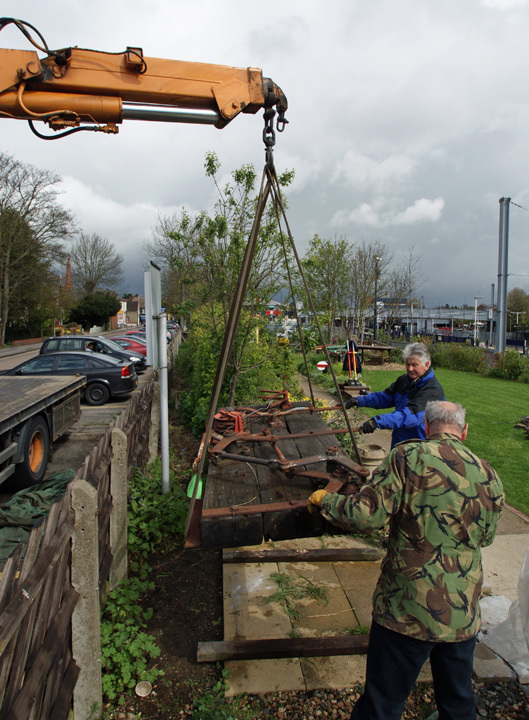 The Trustees will also be setting up a public celebration of the box's 120th Birthday on the 10th of June, again with extended opening times and some special items. First visible work inside the box completed this year; the picture right shows the new shelf in the ground floor display area. 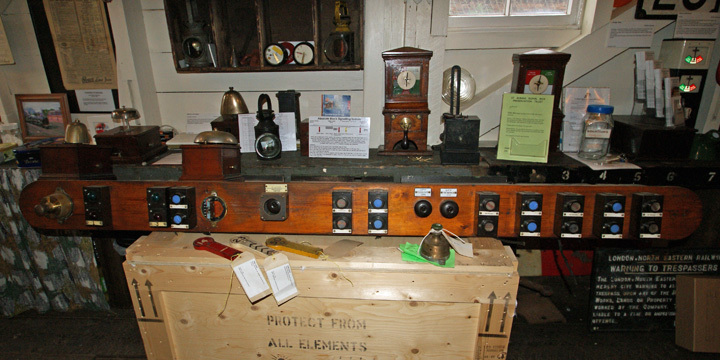 It is a reuse of the massive timber shelf that carried the balance arms worked by the downrods from the levers upstairs. 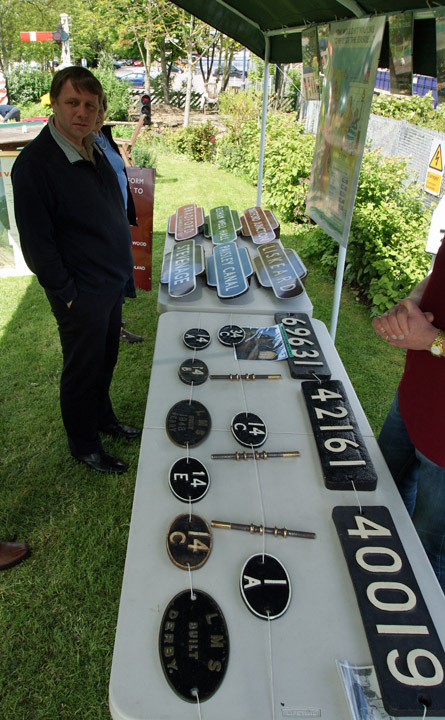 Note the stencilled numbers on the front edge to help the S&T people to identify the different levers. Besides giving us more room to display objects from our collection, it also provides at the far end a permanent place for that all-important item, the kettle needed to keep our volunteers supplied with hot drinks! 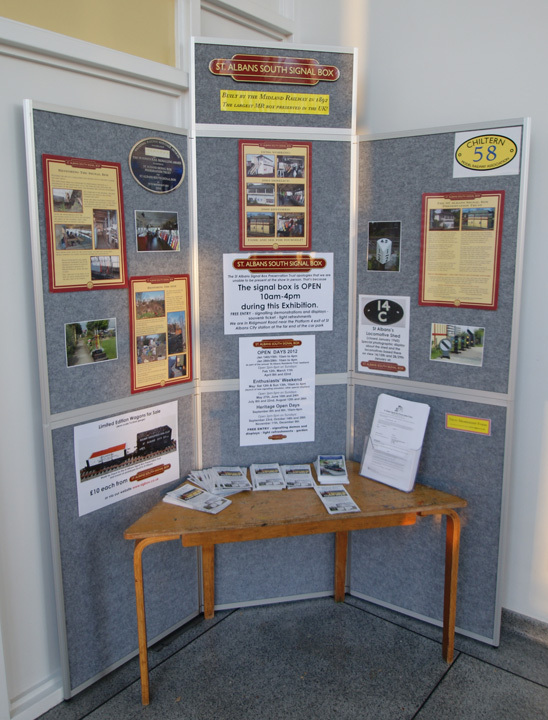 For the last few years the Chiltern Model Railway Association has very kindly let us put up posters advertising the opening of the box at their annual St Albans show in January each year. 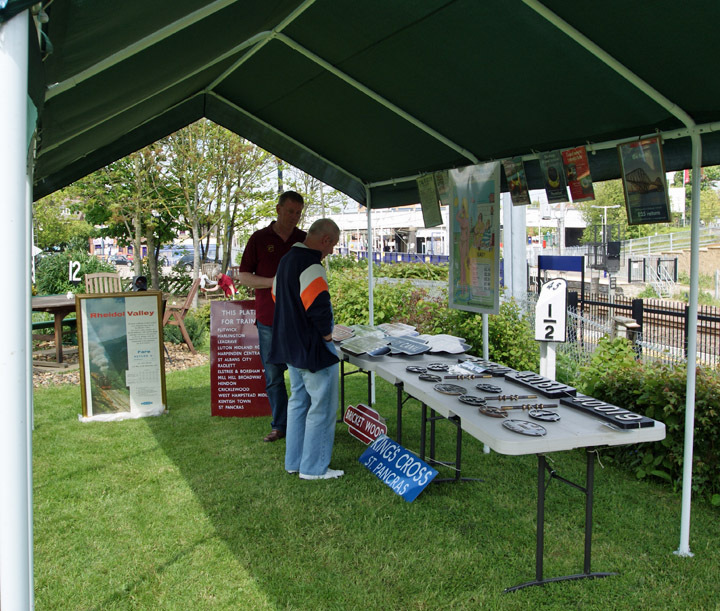 This year they allowed us to put up a display at the show - see right - although we were only able to get it erected on the Sunday. We're not certain how many saw the display - but I was told by one of the stewards that there had been about 1400 people visiting the show that day. 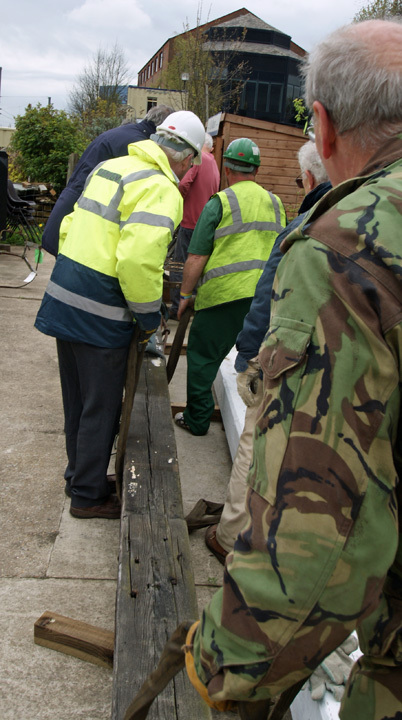 We had about 170 visit the box during the two days we were open, about the same as came in 2011. 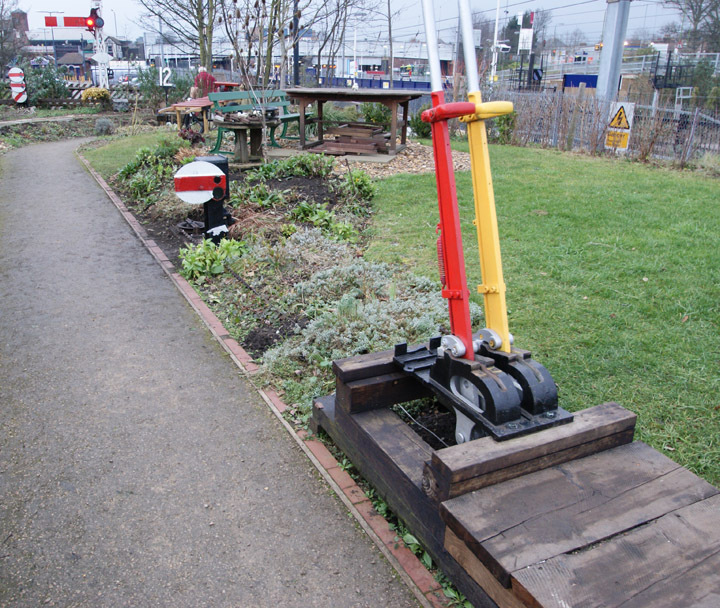 Outside in the garden we have recently linked up our Midland Railway ground disc signal to our London and North-Western Railway ground frame - the general view is shown on the right together with a close-up of the signal and the pulley which takes the operating wire round to the crank operating the signal. 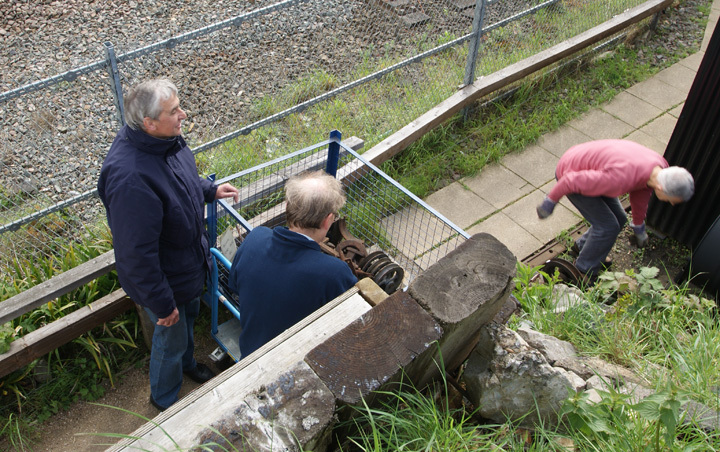 500 visitors came to the box during January's four Open Days. 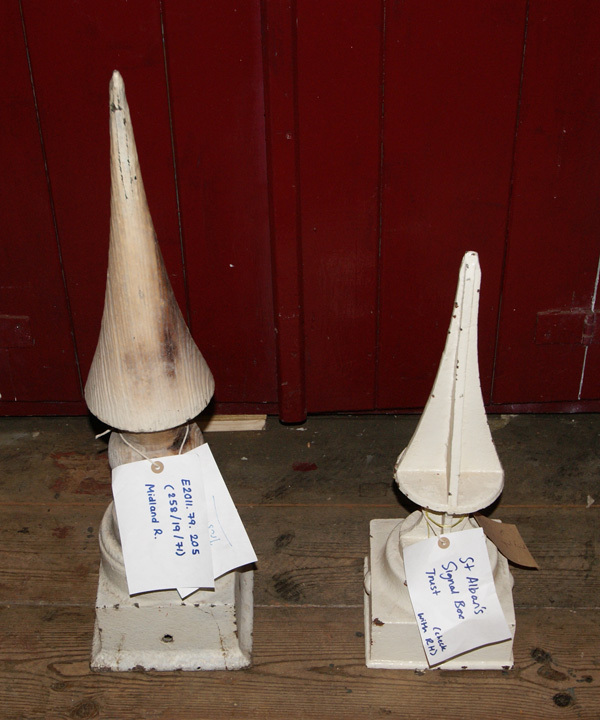 Besides the 170 visitors during the CMRA exhibition, we had 332 through the box on the 28th/29th of the month, many were families with young children too, and it was interesting to see the children's reactions to this unusual place! On Sunday 29th we were part of a BBC 3 Counties Radio 'Treasure Hunt' where one of their reporters had to follow a number of clues to various sites around St Albans. A number of visitors in the afternoon mentioned they had heard about us on this programme and had decided to come as a result.